Being an avid wanderluster, I often find my craving to fly off to explore my eyesight. One of my favorite country that I keep on travel to is our neighbor country, Thailand, where I never bored with their cultures, foods, places and people there. Today I'm gonna share one of my discovery during my travel from Thailand. My skin being so dry and kinda rashes due to these past months hectic summer beach vacation and extreme sports like ATV riding, hiking, paragliding where I've already over exposed under the sun. My skin not even have time to cold down and I always forget to apply enough lotion. Until my recent visit to Bangkok Thailand, my Thai's friend introduced this organic soap. 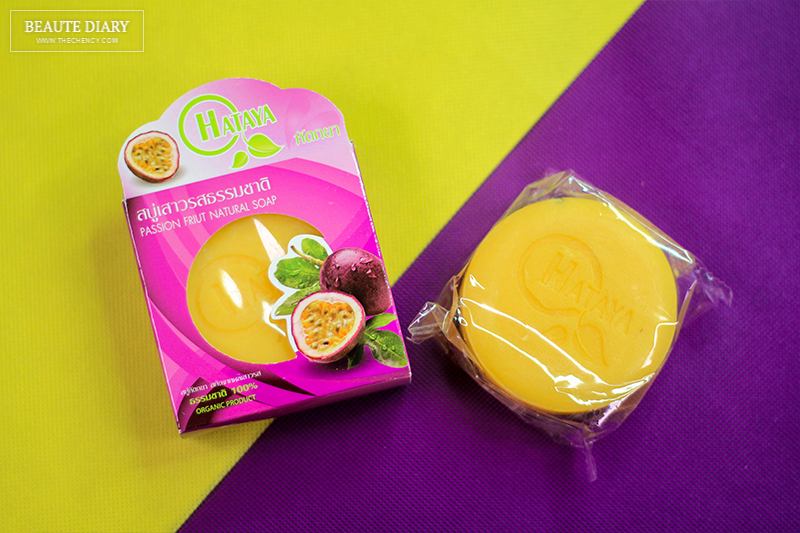 This is Hataya Passion Fruit Natural Soap using 100% natural organic ingredients. 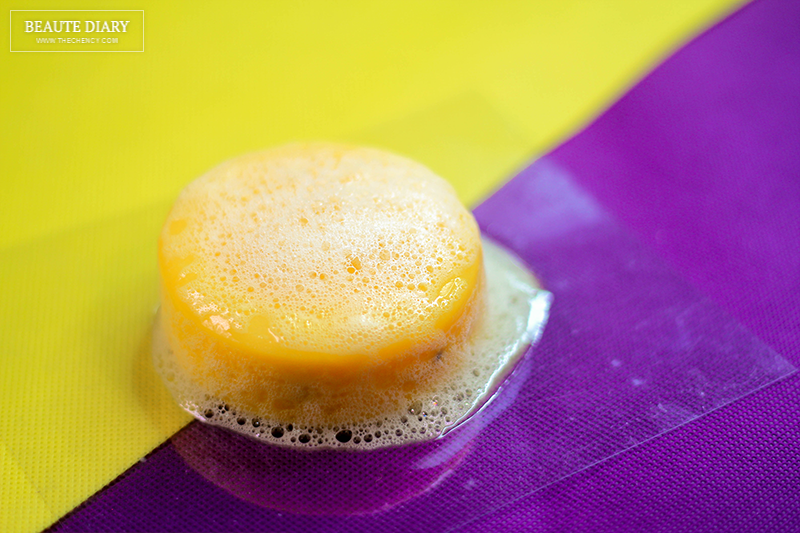 This soap features passionfruit extract which is especially kind to the skin and suitable for all skin types. On the description, it's said, the skin is effectively exfoliated of dead cells and rejuvenated with moisture, leaving the complexion youthful, radiant and with an attractive translucency. It also reduces freckles, leaving the skin altogether brighter, clearer and more natural-looking. Protects the skin against irritations making it suitable for all skin types, including the most sensitive skins. The price of this soap is 80 THB per piece, which is so so affordable. I bought half dozen of this soap and each piece can last about one month. 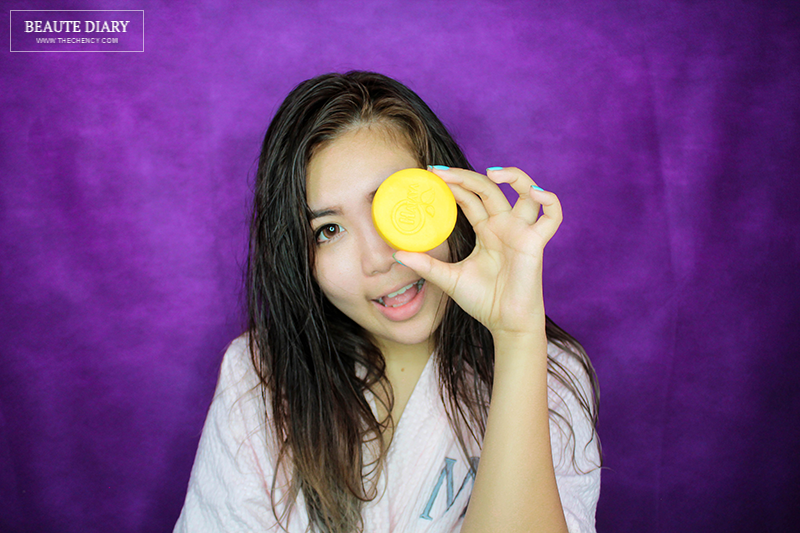 The ingredient has fresh passionfruit, passionfruit extract, coconut oil, sweet almond oil, jojoba oil, olive oil, rice bran oil, vitamin C and B3 and more which are certified by the Thai Food and Drug Administration (Thai FDA) so it is safe to use. The scent is exactly like a passion fruit, more like I'm bathing in a passion kingdom. A soap, of course will be slippery but it does not leave any dry finish after the bath which I love. It also gives a tiny little sensation of cooling while the seed from passion fruits giving a mild exfoliation effect even sensitive or rashes skin suitable for it. Cleaning the dirt very well and the bubbles foam up easily. That statement caught my attention XD now I feel like trying. Haha! i have some small rashes lately on my body.might be worth to try this soon. Natural is the way to go ! Looks good ! 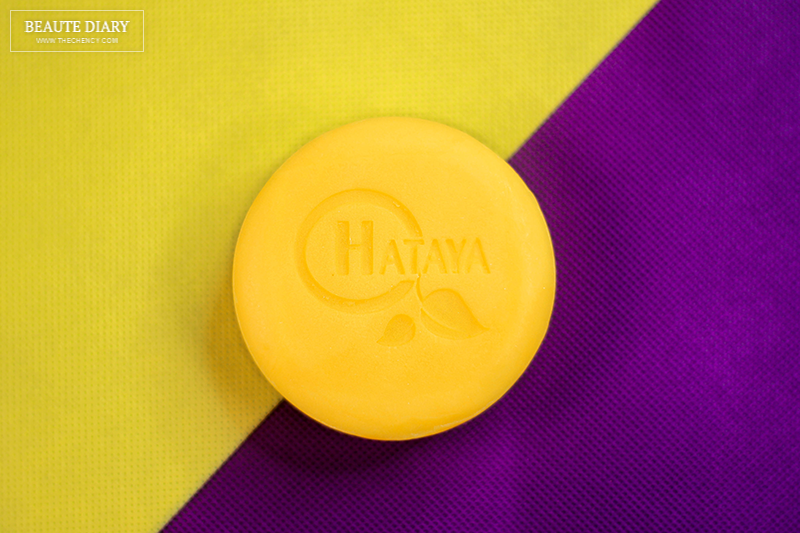 I've not heard of Hataya before but I read ORGANIC and I love passion fruit as a drink. I am sold already even before reading your entire post. I need to buy these wholesale when I am in Thailand. Recently got rashes, maybe hot weather now. Might get a friend to buy this from Thailand. Thanks for sharing. Bangkok have a lot of these amazing scented and medicated soaps - I love them! 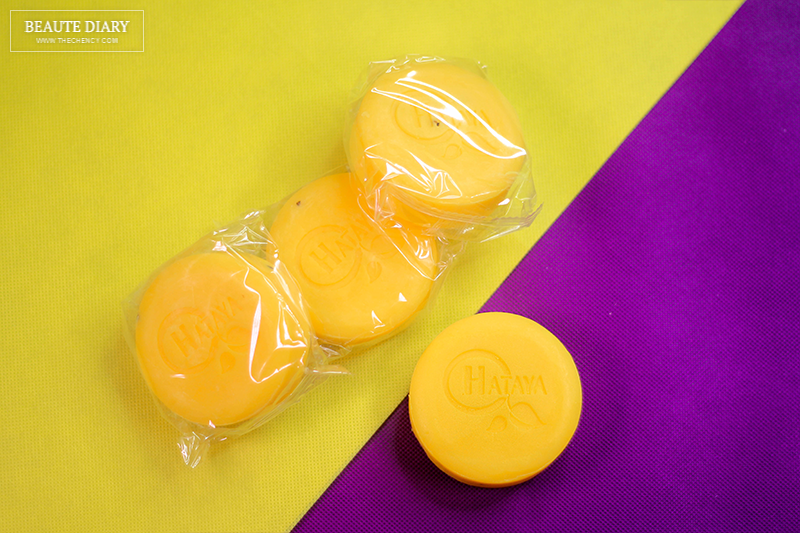 Thank you for sharing about Hataya soap. I love using natural based soaps too. Thank you Chency Ccy. 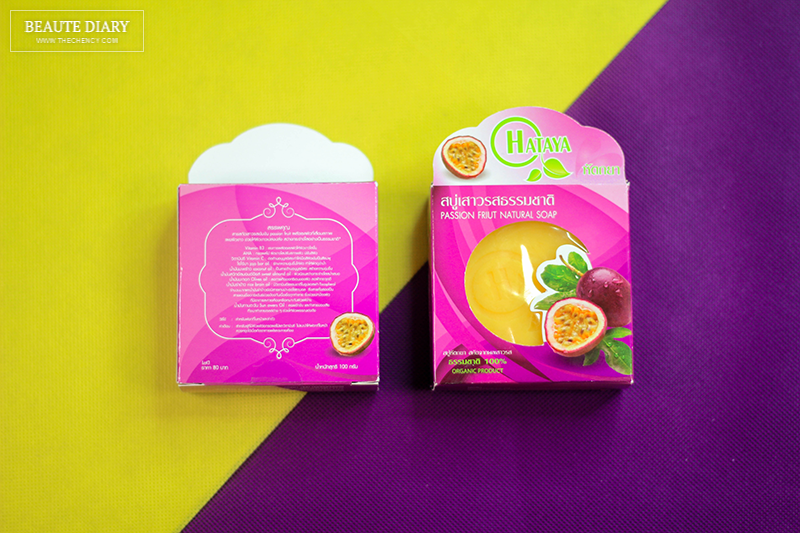 the popular blogger from Malaysia about your product review for HATAYA passion fruit soap. We glad that you love our product and make the great photo.